A perfect place for your stay in Wellington, either you are on holiday, or a business tour or attending family reunions. Fully fenced for pets and children, surrounded by established trees and bush, this is the perfecthome away from home. 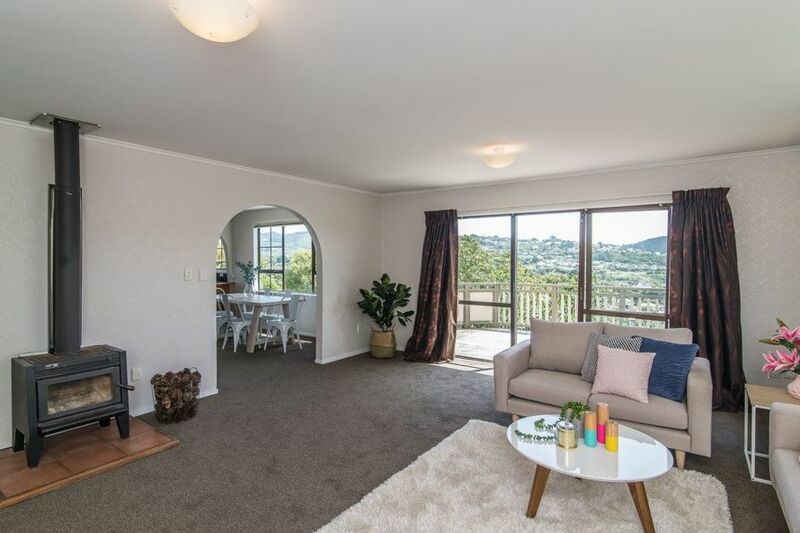 Only minutes to the Grenada interchange, close to all amenities in Newlands and Johnsonville, 16 minutes drive to Wellington central, and 35 minutes drive to the airport. So, if you are looking for a quality stay in Wellington, most definitely this is the place for you. If you are bringing in pets, an extra $100 for total stay is payable. The property had an excellent view. However, it had a fishy smell and couldn’t find the WiFi password. Once we got it from Madhup. It didn’t work. It is good to know that you liked staying at our house. Thanks for your feedback. Personally, I don't thing this house is ready for the next business, as some home appliances were either missing; such as the dryer, the oven was broken; on the other hand a small desk top oven were provided but it was just too small for a group of 7 adults and the hair dryer was out of order too. It feels bad that you had a negative experience despite our best efforts to meet all your extra demands. Thanks for your feedback. We had a great time at Madhup's place. We had a great time at Madhup's place. The house is comfortable and have a great view. It is good to know that you enjoyed staying at our place. Hope to see you again. Thanks for your feedback. Very good location. Fantastic view from the family room window. We enjoyed staying at the property and would highly recommend it to anyone. There is something which might make it better. We had great weather during our stay in Wellington. We felt that there should be an air-con or at least a fan in the family room to keep it cool during evening to enjoy the great view. Happy that you liked staying at ours. Your suggestion is good and noted for action. Thanks.